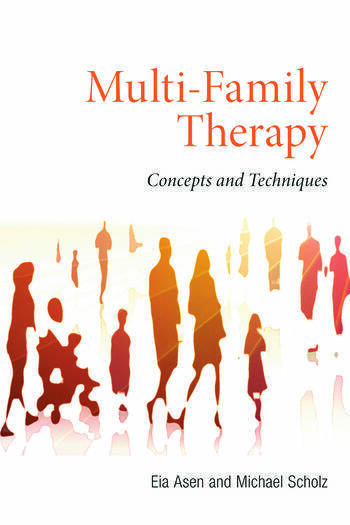 Multi-Family Therapy (MFT) involves the bringing together of different families in a therapeutic context in order to work jointly to overcome each of their specific and very individual problems. This innovative book combines the theory and concepts of MFT with detailed practical examples of techniques and exercises that have been proven to help with problematic children, teenagers and adults. Children, teenagers and adults who present with mental health issues. Multi-Family Therapy: Concepts and Techniques is written for professionals in mental health, social work and education. Its unique pragmatic approach makes it an essential guide for anyone wishing to employ MFT. Introduction and Acknowledgements. Concepts and Principles. Basic Techniques. Group Exercises. Family-oriented Exercises. Problem-focused Exercises. Working with Multi-problem Families. Working with and in Schools. Managing Eating Disorders, Psychosis and Mood Disorders. Pragmatic Considerations.